The recent senseless, totally preventable homebirth death in Oregon is the inevitable result of the licensing laws in the state. The Oregon midwifery laws are nothing more than The Birth Junkie Protection Acts.” Simply put, in contrast to other licensing provisions that exist to protect consumers for poor care, the Oregon midwifery licensing provisions exist to protect providers from legal accountability or any accountability. Don’t believe me?Let’s compare the licensing provisions for massage therapists to those of direct entry (homebirth) midwives. It’s particularly easy to do since the former are located immediately above the latter in the Oregon Statutes. Consider the stakes. Massage is generally reserved for non life threatening situations. It is exceedingly rare that massage would be substituted for life saving medical care and it is exceedingly rare that massage would result in life threatening injuries. It dramatic contrast, childbirth, is and has always been, in every time, place and culture, a leading cause of death of young women and the day of birth is the most dangerous day of the entire 18 years of childhood. Therefore, midwifery is always practiced in potentially life threatening situations, and improper practice of midwifery can easily result in neonatal brain damage, death of the baby or even death of the mother. You might think, therefore, the the Statutes would reflect the differing risks of injury and death. You’d be wrong. The licensing statutes for massage therapists take up 17 pages; the statutes for midwifery take up only 8 pages, less than half the space. What accounts for the difference? The massage therapy statutes are filled with consumer protections. The midwifery statutes have no consumer protections. 687.021 Practice of massage without license prohibited; injunction against violation. (1) No person shall engage in or purport to be in the practice of massage without a massage therapist license issued by the State Board of Massage Therapists. (b) The use of “massage” in the business name unless the person providing the massage is licensed under [Oregon Statutes]. (3) The Attorney General, the prosecuting attorney of any county or the board, in its own name, may maintain an action for an injunction against any person violating this section. An injunction may be issued without proof of actual damage sustained by any person. 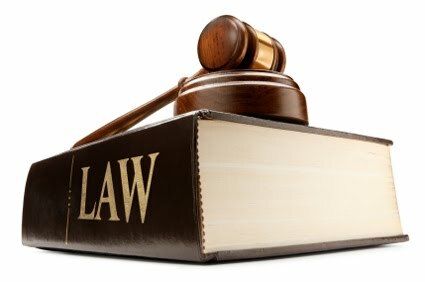 An injunction does not relieve a person from criminal prosecution for violation of this section or from any other civil, criminal or disciplinary remedy. In other words, to be a massage therapist in Oregon, you need a license and there are stiff penalties for practicing without a license. To be a midwife, you don’t need a license and language is included to make clear that there is NO penalty for practicing without a license. (a) Furnish the State Board of Massage Therapists with personal references required by rule of the board. (b) Have attained the age of 18 years. (c) Furnish the board with educational certificates or transcripts required by law or rule of the board including but not limited to proof of certification in cardiopulmonary resuscitation and the subjects listed in paragraph (d) of this subsection. (d) Have completed a minimum of 500 contact hours of certified classes in the following subjects: Anatomy and physiology, kinesiology, pathology, hydrotherapy, theory and hands-on practice of massage and bodywork techniques and professional practices, including client communication and boundaries, professional and business ethics and sanitation. The board by rule may set the minimum number of required hours for each subject. (2) An applicant must be a person of good moral character. For purposes of this section, the lack of good moral character may be established by reference to acts or conduct reflecting moral turpitude or to acts or conduct that would cause a reasonable person to have substantial doubts about the applicant’s ability to practice massage in accordance with [Oregon Statutes] and rules of the board. (3) The board may require that an applicant furnish evidence satisfactory to the board that the applicant can safely and competently practice the profession of massage. The board may consider evidence including, but not limited to, indications of impairment as defined in ORS 676.303 or of behavior, practices or conduct that would be considered unprofessional or dishonorable conduct if engaged in by a person licensed under [Oregon Statutes]. (e) A written plan for emergency transport. In other words, to become a licensed massage therapist, an applicant must be 18 years old, supply references, take classes, pass an exam, provide evidence of competence in massage practice and provide evidence of good moral character. In contrast, to become a licensed midwife must pass an exam and provide evidence of attendance at births. What disciplinary measure do the Statutes provide for substandard practice? (a) Has violated any provision of [Oregon Massage Therapy Statutes]. (b) Has made any false representation or statement to the board in order to induce or prevent action by the board. (c) Has a physical or mental condition that makes the licensee unable to conduct safely the practice of massage. (d) Is habitually intemperate in the use of alcoholic beverages or is addicted to the use of habit-forming drugs or controlled substances. (e) Has misrepresented to any patron any services rendered. (f) Has been convicted of a crime that bears a demonstrable relationship to the practice of massage. (g) Fails to meet with any requirement under ORS 687.051. (h) Violates any provision of ORS 167.002 to 167.027. (i) Engages in unprofessional or dishonorable conduct. (j) Has been the subject of disciplinary action as a massage therapist by any other state or territory of the United States or by a foreign country and the board determines that the cause of the disciplinary action would be a violation under ORS 687.011 to 687.250, 687.895 and 687.991 or rules of the board if it occurred in this state. (a) Limitation on the allowed scope of practice. (b) If the board finds that the licensee is physically or mentally impaired, a requirement for successful completion of appropriate treatment as determined by the board. (c) Individual or peer supervision. (d) Such other conditions as the board may deem necessary for the protection of the public and the rehabilitation of the licensee. (3) If the board determines that a licensee’s continued practice constitutes a serious danger to the public, the board may impose an emergency suspension of the license without a hearing. Simultaneous with the order of suspension, the board shall institute proceedings for a hearing as provided under ORS 687.011 to 687.250, 687.895 and 687.991. The suspension shall continue unless and until the licensee obtains injunctive relief from a court of competent jurisdiction or the board determines that the suspension is no longer necessary for the protection of the public. (4) In addition to the discipline described in subsection (1) of this section, the board may impose a civil penalty as provided under ORS 687.250. Civil penalties under this subsection shall be imposed pursuant to ORS 183.745. (e) Any mitigating factors that the board may choose to consider. (6) In addition to the sanctions authorized by this section, the board may assess against a licensee the costs associated with the disciplinary action taken against the licensee. (7) The board shall adopt a code of ethical standards for practitioners of massage and shall take appropriate measures to ensure that all applicants and practitioners of massage are aware of those standards. (8) Upon receipt of a complaint under ORS 687.011 to 687.250, 687.895 and 687.991, the board shall conduct an investigation as described under ORS 676.165. (9) Information that the board obtains as part of an investigation into licensee or applicant conduct or as part of a contested case proceeding, consent order or stipulated agreement involving licensee or applicant conduct is confidential as provided under ORS 676.175. In other words, the disciplinary statutes for massage therapy are detailed and comprehensive. In contrast, the disciplinary statutes for midwifery are vague and restricted to fraud or violation of the minimal licensing standards. In reviewing each of these three areas, licensing requirements, licensing qualifications and disciplinary measures, it is clear that the statutes governing massage therapy are designed to protect consumers from unqualified providers by requiring a license and creating detailed and comprehensive penalties for disciplinary violations as well as legal penalties for practicing without a license. In contrast, the statutes governing midwifery are designed to protect midwives from consumers. The qualifications for licensing are minimal, the disciplinary penalties vague and limited, and if that weren’t bad enough, no license is even required. It is time for the state of Oregon to stop protecting homebirth midwives and start protecting consumers. How many more babies have to die before they wake up to their responsibilities?